9. 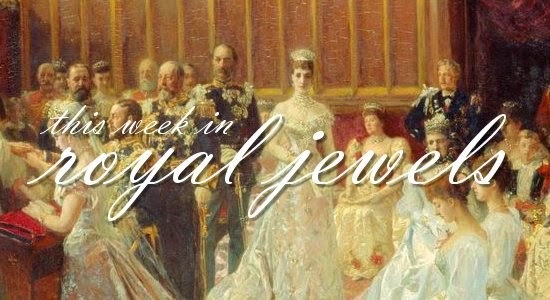 In Madrid, Queen Letizia of Spain chose super-modern, minimalist white gold earrings by Laura Marquez for an awards dinner on Tuesday. 8. 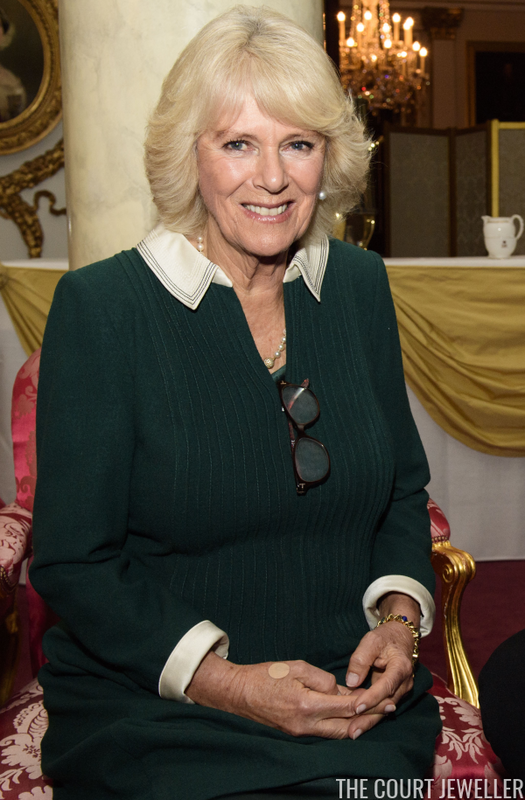 The Duchess of Cornwall wore her usual diamond and pearl earrings, plus her long, single-stranded pearl necklace and her gold and gemstone bracelet, for a reception in honor of the Woman's Hour 70th Anniversary Power List at Buckingham Palace on Tuesday. 7. 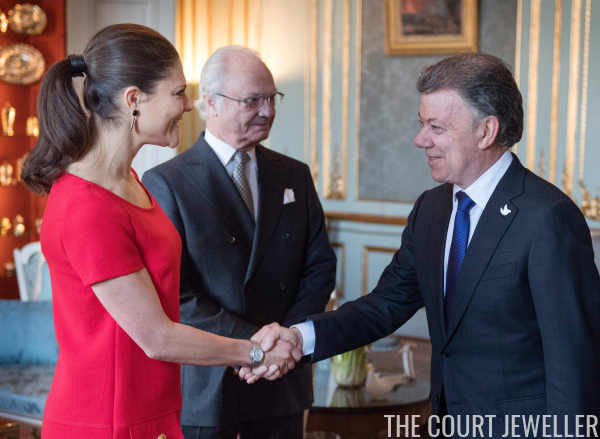 This year's Nobel Peace Prize winner, President Juan Manuel Santos of Colombia, visited the Royal Palace in Stockholm on Monday. 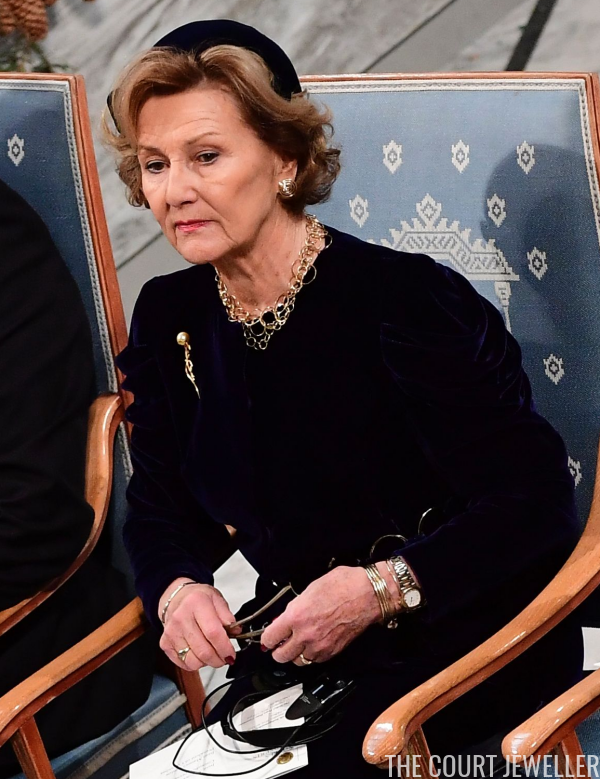 Crown Princess Victoria wore a pair of earrings made of gold and dark gemstones for the meeting. 6. King Willem-Alexander's sisters-in-law, Princesses Mabel and Laurentien, also attended the Prince Claus Awards in Amsterdam on Thursday. 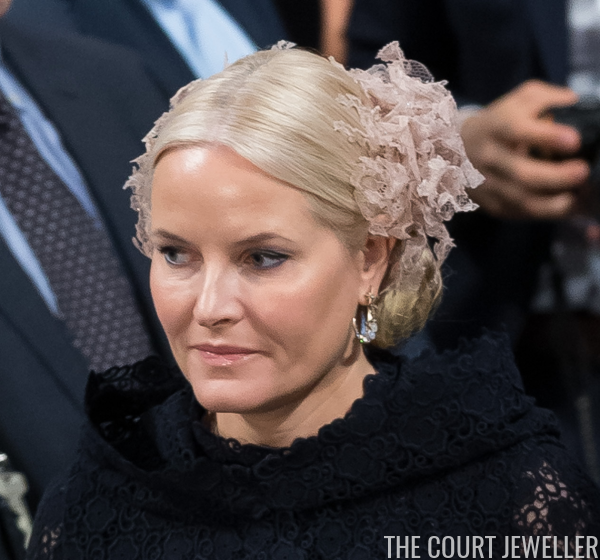 Mabel wore fairly understated earrings, but Laurentien selected bolder gold jewels, including statement earrings and a cuff bracelet. 3. Queen Letizia chose bold, colorful earrings from Coolook for a visit to the Zeta Group in Madrid on Monday.